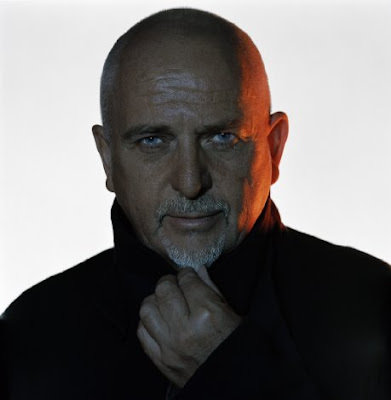 Discussions Magazine Music Blog: PETER GABRIEL: The legend returns with Scratch My Back on March 2nd, 2010. PETER GABRIEL: The legend returns with Scratch My Back on March 2nd, 2010. * Album features interpretations of songs originally recorded by Radiohead, David Bowie, Neil Young, Arcade Fire, Lou Reed, Talking Heads, Bon Iver and more. New York, NY: 17th February 2010: Peter Gabriel will release his Scratch My Back album project on March 2, 2010 via EMI Label Services in the US. The album is the first part of a series of song exchanges in which Gabriel and other leading artists reinterpret each other’s songs. In addition, EMI Label Services will make an exclusive 7” AA vinyl release available at independent retailers to celebrate Record Store Day in the US on April 17th. The 7” features Peter Gabriel’s “The Book of Love” and “Not One of Us”; a track written by Gabriel and performed by Stephin Merritt of The Magnetic Fields. Full Moon Club Double A Singles announced for February, March & April. To coincide with the arrival of every full moon in 2010, each month a digital double A-side single will be unleashed, neatly pairing one of the songs from Scratch My Back with the reciprocal Gabriel track recorded by that particular songwriter. While Peter empties Paul Simon’s original of all its elasticity and bounce, exposing its heart-melting lyrics, the New Yorker returns the favour by refreshing Peter’s tribute to the late anti-apartheid activist, opting to be backed by the rolling sound of a 12-string guitar. While Biko might be an obvious choice for the Graceland guy, his distinctive voice – simultaneously commanding yet youthful – is the perfect messenger for a song calling for empathy and justice. A double A-side to savour, as Peter’s epic take on Bon Iver’s Flume is paired with the enigmatically monikered Wisconsin singer-songwriter’s interpretation of Come Talk To Me from 1992’s Us. They’re both astonishing, the latter initially wearing the light shades of bluegrass and calypso before building into something akin to gospel as it supplies seven minutes of deep spirituality. The first full moon of 2010 has already released the project’s first double A-side – the pairing of Peter’s euphoric take on The Magnetic Fields’ The Book Of Love and the reciprocal retread given by Stephin Merritt’s indie-pop collective to Not One Of Us. Peter Gabriel’s “Not One Of Us” is the first release available through Real World Remixed, an initiative that chimes perfectly with Scratch My Back’s themes of exchange and collaboration. This allows remixers to reassemble and re-interpret some of Peter Gabriel’s core repertoire in whatever shape or form their imaginations allow. Having downloaded sample packs, remixers employ the technology and techniques of their choice and are then invited to upload their creations on the Real World Remixed site to be evaluated by fellow members. Over the course of 2010, four of Peter’s songs will be made available through Real World Remixed. The best remix of each track, as judged by Peter, will have the honour of then being commercially released – and to the remixer, a share of the royalties. Peter Gabriel first came to international prominence with the success of Genesis, a band that he co-founded while still at school. Since leaving Genesis in 1975, his recording career has included seven studio albums, film soundtracks for ‘Birdy’, ‘The Last Temptation of Christ’ and ‘Rabbit Proof Fence’ as well as live and compilation albums. His wider musical career has included multiple Grammy Awards and the creation of the now global WOMAD festival. Peter Gabriel co-founded the human rights organization Witness.org in 1989 and in 2007 the Elders.org was launched by Nelson Mandela, which was founded by Peter Gabriel and Sir Richard Branson. In 2006, Peter Gabriel was awarded the prestigious Man of Peace title by The Nobel Peace Laureates. He has also engaged in a wide variety of tech-based businesses throughout a variety of creative industries. For more information please visit www.petergabriel.com.